This golf course combines all the conditions required by professionals and amateurs alike in order to play at the highest level. An exceptional location. A course closer to the ones you find in the States, and at least as good. Perfect greens and fairways. In Cancelada, between San Pedro de Alcantara and Estepona, cross the town, and a track will lead you past the Marbella Club golf resort. On the Benahavis road, take the road opposite the bridge over the Guadalmina river, the course is at the end of the road on your right. Los Arqueros, the first golf course designed by Severiano Ballesteros on the Costa del Sol, is located in Benahavis and only 5 km from the village centre by the new bridge over the Guadalmina river. Approximately 5 Kilometres from San Pedro de Alcantara on the Ronda road. 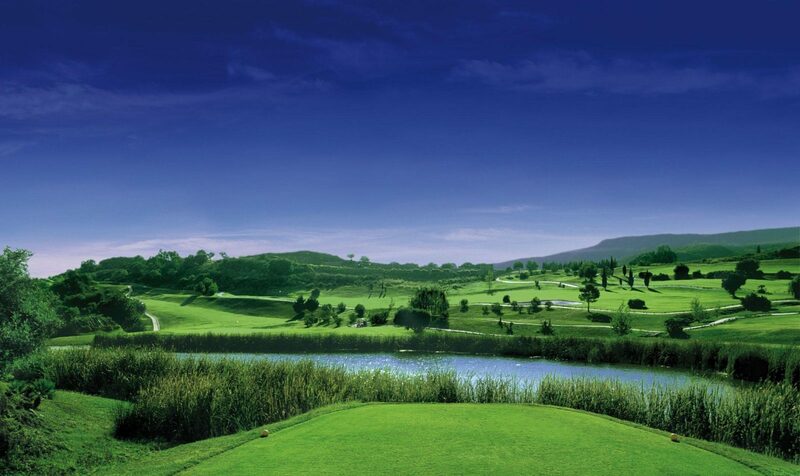 Los Arqueros is a challenging course which will be enjoyed by all players, from the lowest to the highest handicaps. The variation in its holes and the magnificent views of the sea and the mountains, will make your visit to Los Arqueros an unforgettable experience. In my personal opinion the most difficult course in Benahavis. From San Pedro de Alcantara approximately 5 Kilometres on the Ronda road. From Benahavis take the new bridge over the Guadalmina river and then left at the first roundabout. These two golf courses, designed by the American Bradford Benz, offer golfers splendid views over Gibraltar. This is probably Europe’s answer to Augusta, as play is limited to members and their guests. Located in a fabulous resort of almost 900 hectares, at the start of the road from Marbella to Ronda, La Zagaleta Country Club is one of the most exclusive in Europe. The surroundings of the golf course are second-to-none, as the fairways are set in a nature reserve which is home to numerous species of autochtonous flora and fauna. The Club is strictly private, for the use of members and their guests. As well as the golf course and other sporting facilities, La Zagaleta has a 24-hour security service, a heliport, three fishing lakes, hiking tracks, riding stables and a magnificent Club House. From San Pedro de Alcantara, the entrance is approximately 5 Kilometres on the Ronda road on your left. 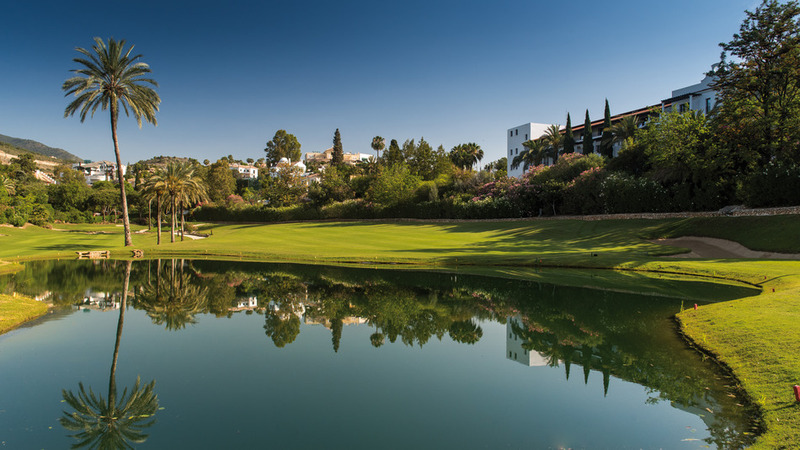 Situated in the “Golf Valley”, the Club commands fine views of the mountains and the Marbella coastline. It consists of three combinable courses. Although apparently easy, the courses are in fact very demanding, due to the design of the fairways and the excellent quality of the greens. From San Pedro de Alcantara approximately 2 Kilometres on the Ronda road, you’ll see the signs at the roundabout, on your right. Designed in 1973 by Gary Player, El Paraiso is one of the most established courses on the Costa del Sol. El Paraiso is built only partly on Benahavis territory, the rest is on Estepona soil. Between San Pedro de Alcantara and Cancelada, in direction Estepona, take the Hotel and Golf El Paraiso exit, just before Cancelada. El Higueral is part of the Marbella Club Golf Resort. A beautiful 9 hole golf course built around a group of appartments, along the Guadalmina river. 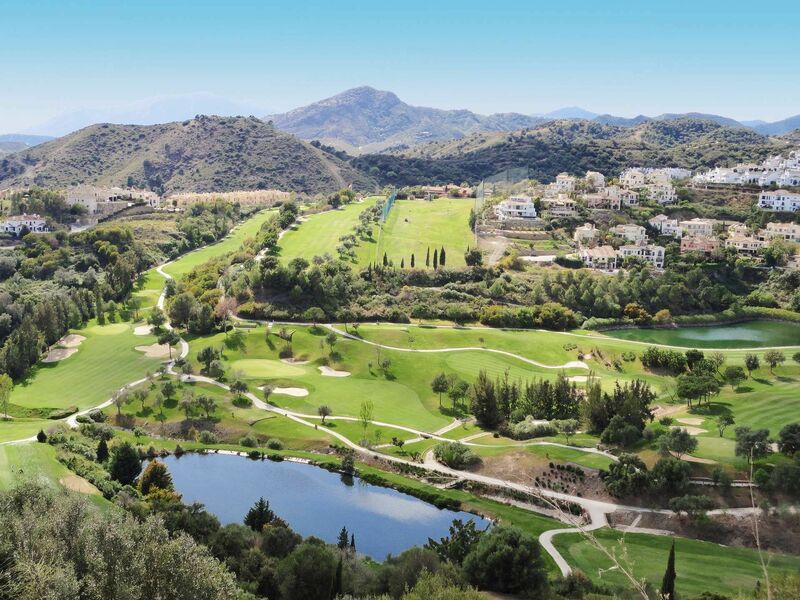 It is one of the walkable courses on the Benahavis territory, which does not mean it is an easy course as there is quite a bit of water, plenty of trees and canyons on one side. Very reasonable prices, but no clubhouse as such, although this will change as plans are to add another 9 holes plus extra facilities. It is on the road to Benahavis, just across the bridge halfway. 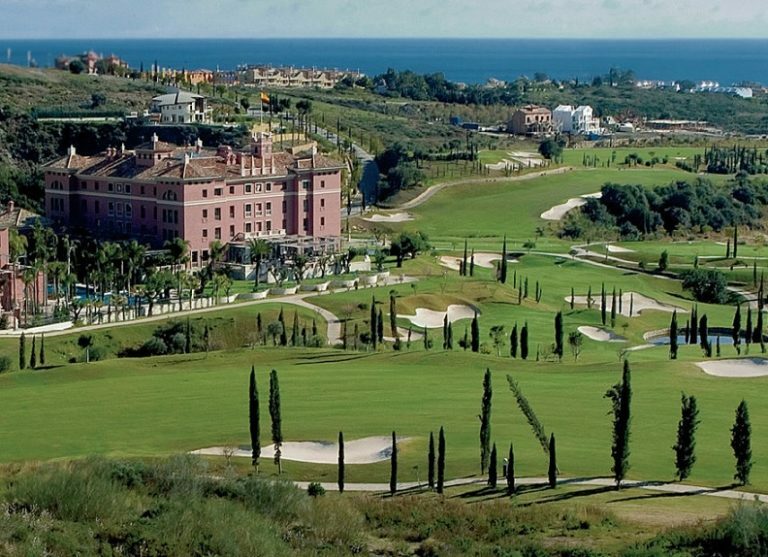 Atalaya Golf & Country Club has been one of the most popular clubs on the Costa del Sol since opening in 1968. 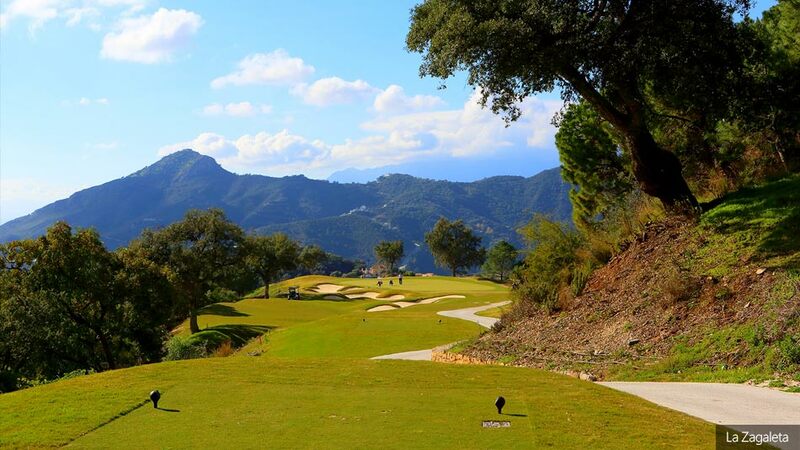 Located between Marbella and Estepona, it is the course you pass on the left when driving up to Benahavis village. It is suitable for all levels of play, from total beginners to international pro´s, due to the flexibility of its tees. The old course is one of the more forgiving golfcourses in the area and is on Estepona territory, the new course is more hilly and on Benahavis soil. Atalaya also has one of the most extensive driving ranges in Spain, where tuition is offered in several languages. Between San Pedro de Alcantara and Estepona, take the Benahavis exit, and drive direction the village of Benahavis, 2nd street on the left leads you right to the clubhouse.